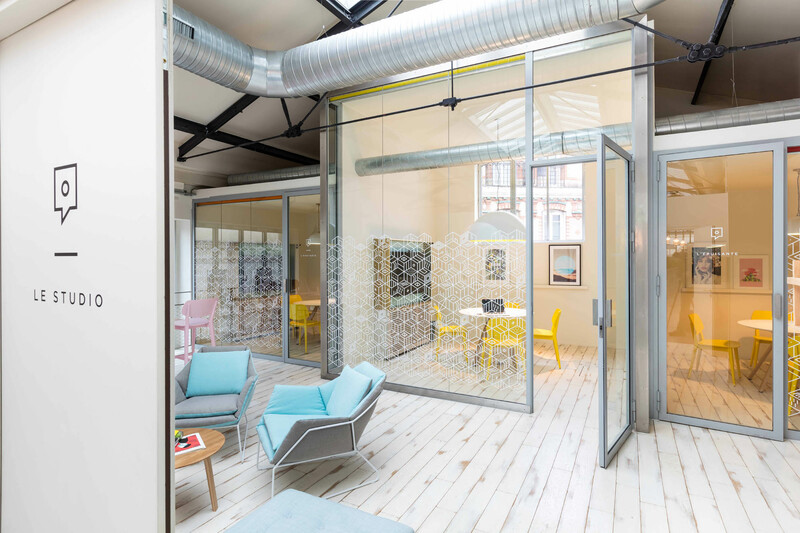 This week’s instalment of the #SBIDinspire interior design series features the first global co-working concept for new office brand, Deskopolitan, which has launched at 48 rue Chateau d’Eau, Paris. 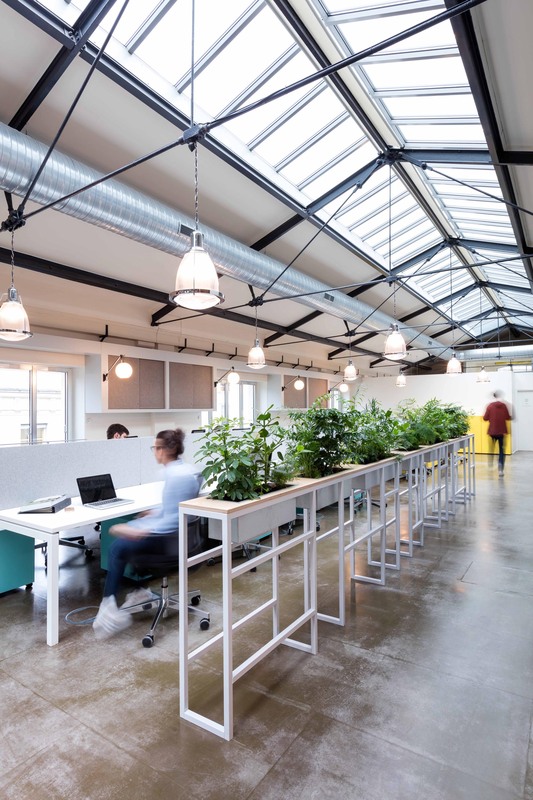 The space offers a diverse and progressive work environment to appeal to start-ups and small businesses – a revolutionary concept for the French market. MoreySmith were entrusted to establish the global design strategy for Deskopolitan’s new brand concept. 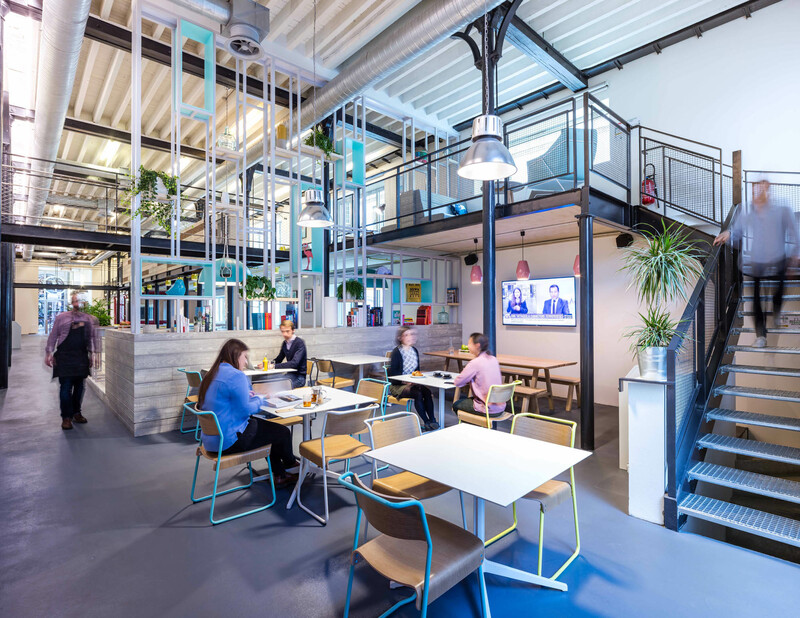 The strategy enables the brand to evolve in different locations throughout Europe, and offers a range of workspaces to cater for its members. These include a range of assigned workspaces and flexible work settings to support drop in sessions, as well as artist studios, health & beauty suites, and spaces for open group collaboration and networking events. This contemporary approach to workspace design brings a fresh new look to the European market. Deskopolitan, a new lifestyle focused serviced-office company based in Paris, selected MoreySmith to establish their global design strategy and concept, demonstrated in its first venture, Château d’Eau. 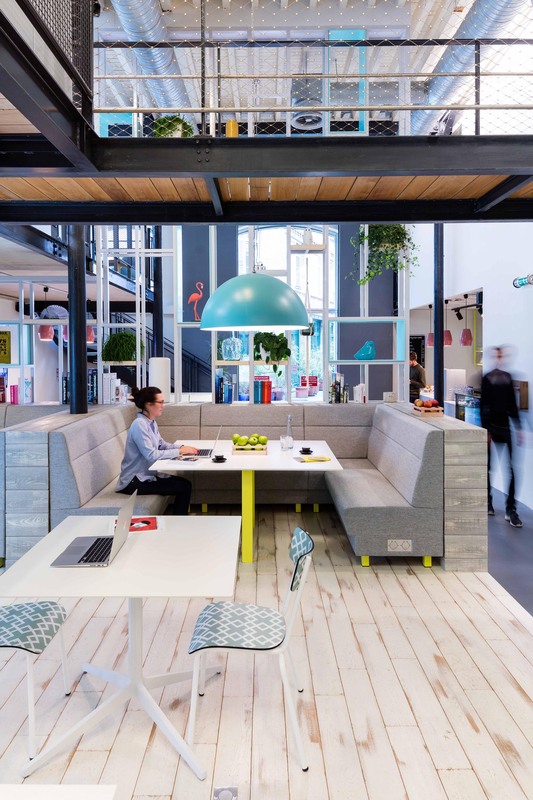 At the heart of the brand is the vision to host a likeminded community of people, sharing both space and values, in a flexible and inspiring environment with a unique range of on-site facilities promoting work/life wellbeing. Château d’Eau spans 13,500 sq ft over three floors (ground with mezzanine, first and second), with 120 hot desks, 45 open desks, six club offices, and five meetings rooms. MoreySmith worked closely with Deskopolitan to develop the company’s global design strategy and concept, and establish the branding for the building –a graphic inspired by the circular geometry found within Deskopolitan’s flagship venture, Voltaire (located in the 11th arrondissement and due to open in 2018) which translates throughout. 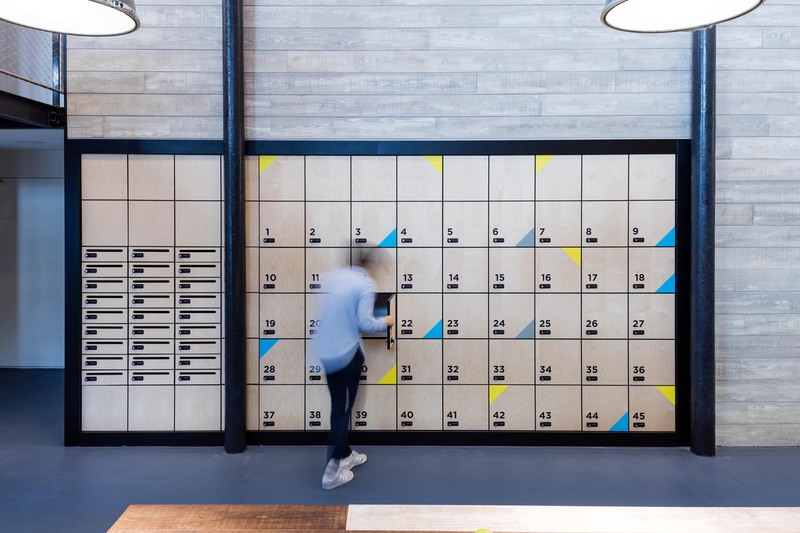 MoreySmith’s redesign has transformed the former factory building into a lifestyle focused co-working environment which challenges the traditional office concept, with innovative and interactive spaces supported by state-of-the-art facilities. The main entrance at street level opens into a light and airy double height space featuring a vibrant café with access to an external courtyard and informal touchdown positions at mezzanine level. Each floor offers co-working members a range of flexible working environments including open-plan desk areas, private phone booths, touchdown work positions, video conference and AV meeting rooms, collaborative informal meeting and social spaces. The double height space is purposely designed to promote “collision” culture and allow members to interact across the community building networks and connections. Movement and transparency are also key to successful collaboration, so MoreySmith designed the space to maximise natural light and encourage the flow of people around the building. The upper floors offer open, light and modern workspace, with flexibility to adapt to client requirements. The first floor provides dedicated enclosed spaces for small businesses, and the second floor provides an open plan environment. Quiet rooms and phone booths allow focused working and privacy for calls. 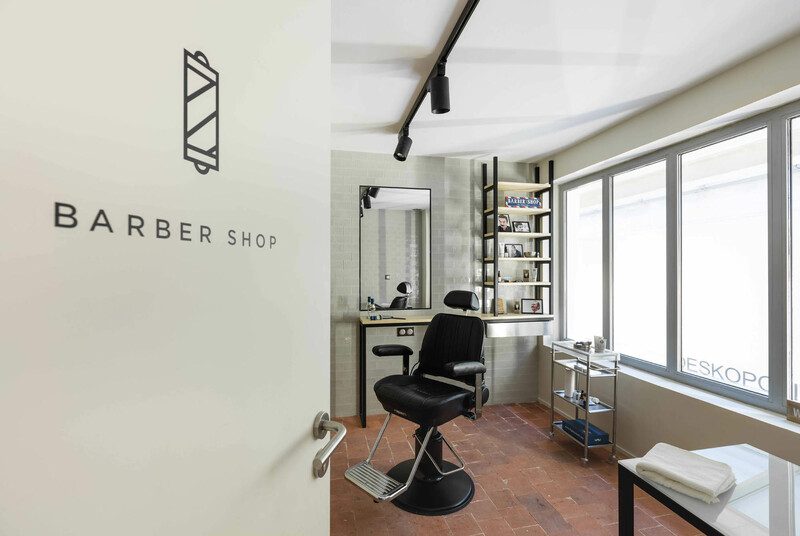 The on-site facilities include a café, concierge, heritage style barbershop, nail bar, and bike store with shower and facilities. MoreySmith enjoy the challenge of working with heritage buildings for the creative opportunities and sense of transformation that can be achieved. 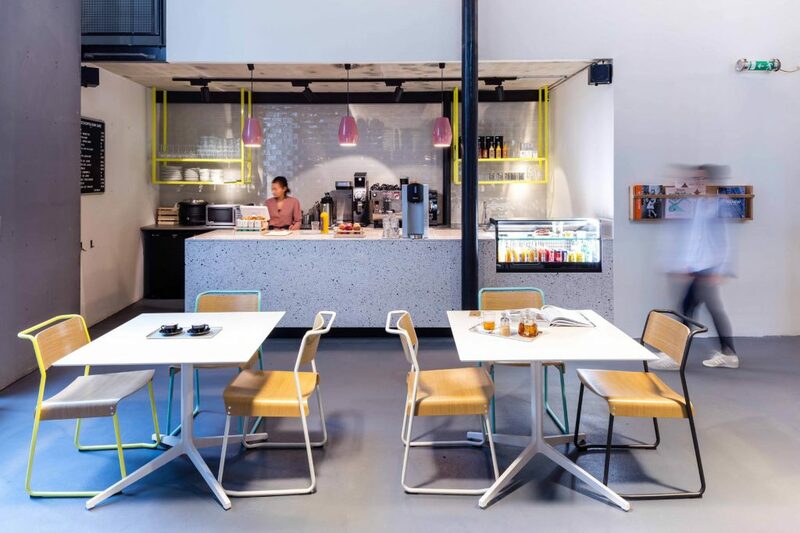 The interior design aesthetic is a contemporary take on the building’s industrial history, mixing materials such as glazed brick tiles, exposed concrete, reclaimed timber, plywood, terrazzo and burnished brass, and complementing this with fresh, bright colours. This is juxtaposed with the addition of plants throughout the space, which provide balance, calm and comfort. This interior design scheme of this fresh space challenges traditional perceptions of office culture, successfully blending modern life/work and lifestyle aspirations. If you missed last week’s Project of the Week featuring the Art Deco inspired restaurant with a quirky, contemporary and traditional design aesthetic in Manchester, click here to see more.